St. John’s College is known for upholding the highest educational standards. And also for croquet. The annual Annapolis Cup match against a team from cross-town rivals Navy draws thousands of spectators — don’t show up without a ticket and expect to get in. The mallet-wielding Johnnies took a spring break trip down to Pinehurst to train for the upcoming Annapolis Cup. 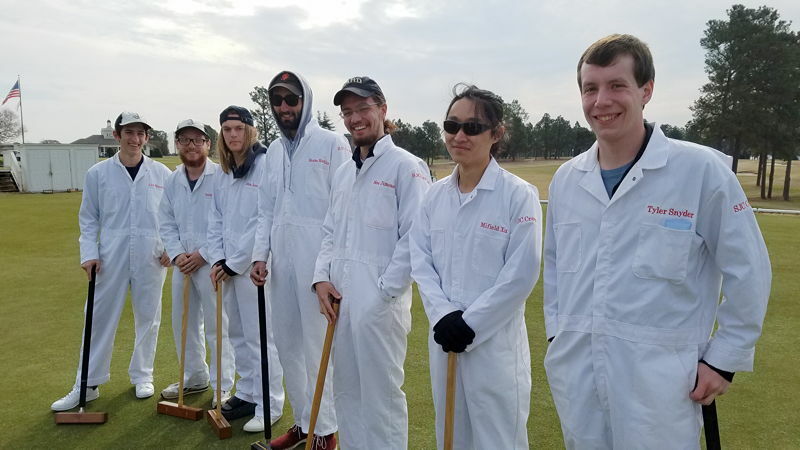 Pinehurst Croquet Club members acted as competitors, coaches, and hosts.